Sebastian met Isabelle outside Hillhead Underground Station, in Glasgow. Belle harassed Sebastian, but it was lucky for him that she did. She was very nice and funny, and sang very sweetly. Sebastian was not to know this, however. Sebastian was melancholy. He had placed an advert in the local supermarket. He was looking for musicians. Belle saw him do it. She asked him to teach her to play guitar. Sebastian doubted he could teach her anything, but he admired her energy, so he said, ‘Yes’. It was strange, Sebastian had just decided to become a one-man band. It is always when you least expect it that something happens. Sebastian had befriended a fox because he didn’t expect to have any new friends for a while. He still loved the fox, although he had a new distraction. Suddenly he was writing many songs. Sebastian wrote all of his best songs in 1995. In fact, most of his best songs have the words ‘Nineteen Ninety-five’ in them. It bothered him a little. What will happen in 1996? They worked on songs in Belle’s house. Belle lived with her parents, and they were rich enough to have a piano. It was in a room by itself at the back of the house, overlooking the garden. This was where Belle taught Sebastian to put on mascara. If Belle’s mum had known this, she would not have been happy. She was paying for the guitar lessons. The lessons gave Sebastian’s life some structure. He went to the barbers to get a haircut. Belle and Sebastian are not snogging. Sometimes they hold hands, but that is only a display of public solidarity. Sebastian thinks Belle ‘kicks with the other foot’. Sebastian is wrong, but then Sebastian can never see further than the next tragic ballad. It is lucky that Belle had a popular taste in music. She is the cheese to his dill pickle. 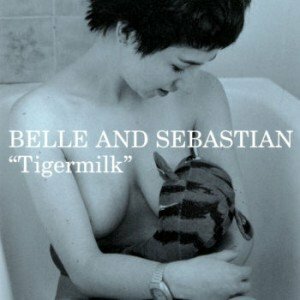 Belle and Sebastian do not care much for material goods. But then neither Belle nor Sebastian has ever had to worry about where the next meal is coming from. Belle’s most recent song is called Rag Day. Sebastian’s is called The Fox In The Snow. They once stayed in their favourite cafe for three solid days to recruit a band. Have you ever seen The Magnificent 7? It was like that, only more tedious. They gained a lot of weight, and made a few enemies of waitresses.